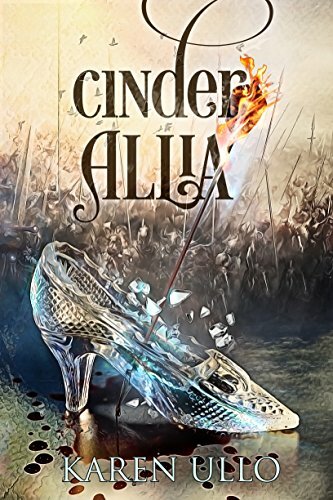 Cinder Allia by Karen Ullo serves readers a fun, creative Cinderella story. Ullo’s plot, full of character twists, competent crafty villains, and cowardly heroes kept me thumbing my Kindle page after page. Her plot of political intrigue, quests for love, and restoration of a kingdom progresses through a cast of diverse characters who all struggle with their loyalty to their true selves. The story begins with Cinder Allia, who lives as a slave in her own estate and suffers the punishment her father has cruelly and irrationally bestowed upon her, as he adamantly blames his daughter for the death of his wife. It is not until Allia meets a mysterious dashing peddler who stops by to pick up her stepmother’s beauty potions, that Allia realizes the situation in which she lives is partially due to her acceptance of it. The young peddler, who declares he has known her since childhood, confesses of coming by the estate twice a year out of his concern for her, and immediately pledges his loyalty to her then and there. Allia’s eyes are opened to a life of freedom that could be hers if she only joined this peddler who sincerely expressed his love for her. Allia tempted, initially and perhaps wisely, rejects his offer. But he leaves her his sword as a gift, and as a reminder that he will return in six months if she should so change her mind. Gradually, her undeniable physical attraction to him, and memories of the warmth and security of his embrace take hold of her heart and mind. Eventually, such feelings of happiness and freedom compared with her present situation become unbearable. So, sword in hand, Allia sets out on a journey to seek out her unknown lover who has pledged his loyalty to her forever. As she travels seeking her ‘lover’ Allia encounters characters through which she learns of different types of loyalty and love. Her experiences reveal the hurts of her tragic past as she encounters those partly responsible for the death of her mother and the cruel life she has suffered. In meeting old friends and enemies Allia is faced with the difficult opportunity to forgive and let go of her grudges toward the past grudges placed against those who abandoned and despised her when she was young. Ullo gives her readers a heroine who overcomes her trials because of her feminine qualities. She first introduces Allia as a sword-wielding princess bu having Allia enjoy the sport and be a competent fighter, only highlights her playful personality. Learning swordplay brings out her womanly practicality of self-sufficiency and self-defense; not a warrior like character glamorized and honored by her killing skills in battle. Despite Allia’s ignorance of the world, her feminine heart recognizes clearly the needs of the individuals around her. She makes judgments based on a person’s actions toward her and not their political affiliations. Although she cries often, her show of sadness does not make her weak but motivates her to push through her fears. She is not afraid to face the sadness around her and acknowledge her pains. She places morals and truth as the higher priority over reconciling the political conflict with the usual physical force, strategy, and worldly compromises. It is her strong will and firm belief which grant her the wisdom and courage to act in such a way to defy the worldly reason of the men, blinded by insignificant details of battle such as to overlook how to win the war. Each character in Ullo’s story suffers in some way due, not so much due to the external war but an internal one. Living according to a false reality or identity, each character experiences the consequences of their lie, or another’s. What I like best is that Ullo shows how true identity is restored through self-gift or a self-denial of themselves. She portrays that one’s true identity requires a loyalty to something greater than the self. Allia is a heroine because of her loyalty to the true prince of the kingdom. This loyalty is that which ultimately attains victory over the kingdom’s enemies who have lost their identity. 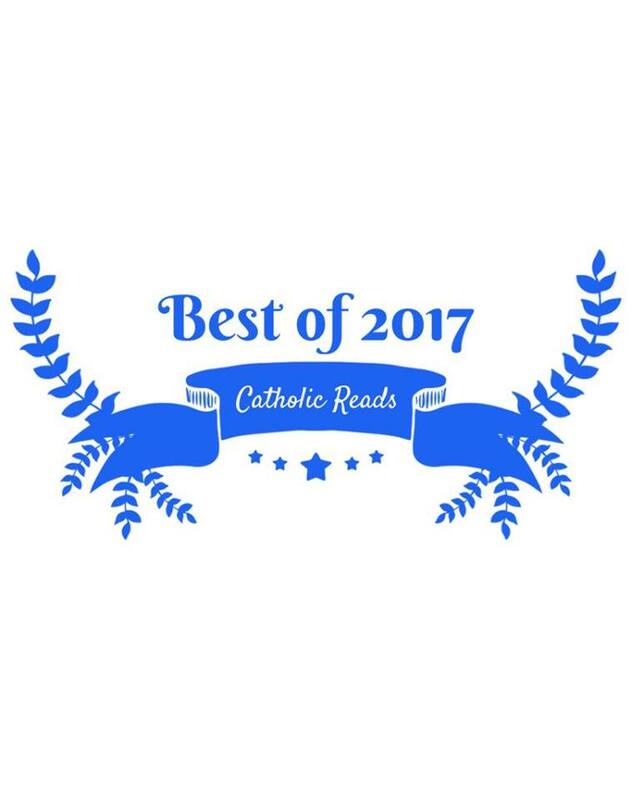 The Catholicity of the book lies in the recognition that one’s personal faults affect the entire community, and the entire community’s faults can affect a single individual. Allia’s fault of ignorance, allows her antagonists to flourish in their selfish schemes and prevents the kind Allia from being all she can be. The selfishness and cowardliness of other characters create chaos affecting the entire kingdom and creates a hell for Allia. When Allia takes actions to change her situation, the kindness of others pushes her forward and her kindness to them strengthens the kindness within them. Through this, Ullo also silently shows the power of kindness over the lies of self-doubt. Allia’s kindness most significantly affects Raphael, the true prince who denies his role as prince, and therefore his identity. Being an unknown adopted brother of the recently deceased Prince, Raphael must rise to the throne after his brother’s tragic death in battle. But rather than taking up the throne, Raphael asks his loyal servant and friend, Tristian, to play the social role of Prince. Tristian, in loyalty to the kingdom and in his integrity to his friend, obeys the royal command. What Tristian does not realize is that posing as Prince restricts him from following his own personal goals for his life, (Marrying Allia’s stepsister) least his cover be blown. Tristian is my favorite character because he is consistently loyal to his morals and friends. Tristian’s counterpart, the chaplain, similarly faces a perceived conflict between serving the kingdom and being a priest but fails in keeping up his real identity as a priest. The priest fails to give himself up completely to the Heavenly King for the sake of the political Kingdom. Tristian, living behind a façade to the community, never stops being honest to himself or loyal to the Prince, but the priest in his pride fails to see clearly his duty to the King of Heaven. He falls into the trap of believing that his ends justify his means. Ullo contrasts the consequence of self-love or pride with that of loving one’s self and humility. Because Allia knew love she could love the cowardly prince, despite his weakness. This love, in turn, grants him the strength to take up his responsibility. As conflict washes over her characters Ullo, creates unforgettable events, dialogue, and scenes, leaving her reader praying for a sequel and hoping for an even better work of literature to come. Unfortunately, I did not find everything about Ullo’s book satisfying and some things even aggravating. The most frustrating aspect of Cinder Allia is Ullo’s beginning premise that Alia was condemned to servant-hood in her own home because of the unrefuted claim that she murdered her mother. This accusation resurfaced throughout, and while it was used to build tension and excitement, the tension built upon the irrational belief that a young girl would murder her mother disturbed my suspension of disbelief and pulled me out of the fantasy. Other smaller issues, which afflicted me pertained to Allia’s ready judgment that, unless proven innocent or attractive, every man she encountered held absolute certain ill intent toward her, to the point of being preachy or rashly prudish. And despite the title Cinder Allia, I found the real protagonist and hero of the story to be Tristian. His simple and realistic moral dilemmas overshadowed Allia’s character and storyline. Yet despite these frustrating flaws, Ullo has captured my imagination and has written many excellent unforgettable scenes with vivid imagery and dialogue, humor, and an exciting plot worth reading again and again. While her book is not perfect, the literary treasure and the incredible intrigue it contains are well worth the read. Cinder Alia by Karen Ullo serves readers a fun, creative Cinderella story. Ullo’s plot, full of character twists, competent crafty villains, and cowardly heroes, kept me thumbing my Kindle page after page. Her plot of political intrigue, quests for love, and restoration of a kingdom, progresses through a cast of diverse characters who all struggle in their loyalty to their true selves. The story begins with Cinder Alia, who lives as a slave in her own estate and suffers the punishment her father has cruelly and irrationally bestowed upon her, as he adamantly blames his daughter for the death of his wife. It is not until Alia meets a mysterious dashing peddler who stops by to pick up her stepmother’s beauty potions, that Alia realizes the situation in which she lives is partially due to her acceptance of it. The young peddler, who declares he has known her since childhood, confesses of coming by the estate twice a year out of his concern for her, and immediately pledges his loyalty to her then and there. Alia’s eyes are opened to a life of freedom that could be hers if she only joined this peddler who sincerely expressed his love for her. Alia tempted, initially and perhaps wisely, rejects his offer. But he leaves her his sword as a gift, and as a reminder that he will return in six months if she should so change her mind. Gradually, her undeniable physical attraction to him, and memories of the warmth and security of his embrace take hold of her heart and mind. Eventually such feelings of happiness and freedom compared with her present situation become unbearable. So, sword in hand, Alia sets out on a journey to seek out her unknown lover who has pledged his loyalty to her forever. As she travels seeking her ‘lover’ Alia encounters characters through which she learns of different types of loyalty and love. Her experiences reveal the hurts of her tragic past as she encounters those partly responsible for the death of her mother and the cruel life she has suffered. In meeting old friends and enemies Alia is faced with the difficult opportunity to forgive and let go of her grudges toward the past grudges placed against those who abandoned and despised her when she was young. Ullo gives her readers a heroine who overcomes her trials because of her feminine qualities. She first introduces Alia as a sword wielding princess but having Alia enjoy the sport and be a competent fighter, only highlights her playful personality. Learning swordplay brings out her womanly practicality of self-sufficiency and self-defense; not a warrior like character glamorized and honored by her killing skills in battle. Despite Alia’s ignorance of the world, her feminine heart recognizes clearly the needs of the individuals around her. She makes judgments based on a person’s actions toward her and not their political affiliations. Although she cries often, her show of sadness does not make her weak but motivates her to push through her fears. She is not afraid to face the sadness around her and acknowledge her pains. She places morals and truth as the higher priority over reconciling the political conflict with the usual physical force, strategy, and worldly compromises. It is her strong will and firm belief which grant her the wisdom and courage to act in such a way to defy the worldly reason of the men, blinded by insignificant details of battle such as to overlook how to win the war. Each character in Ullo’s story suffers in some way due, not so much due to the external war but an internal one. Living according to a false reality or identity, each character experiences the consequences of their lie, or another’s. What I like best is that Ullo shows how true identity is restored through self-gift or a self-denial of themselves. She portrays that one’s true identity requires a loyalty to something greater than the self. Alia is a heroine because of her loyalty to the true prince of the kingdom. This loyalty is that which ultimately attains victory over the kingdom’s enemies who have lost their identity. 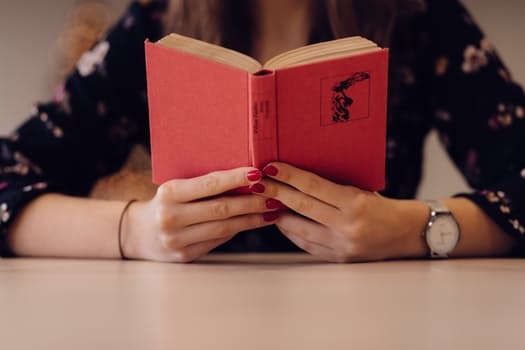 The Catholicity of the book lies in the recognition that one’s personal faults affect the entire community, and the entire community’s faults can affect a single individual. Alia’s fault of ignorance, allows her antagonists to flourish in their selfish schemes, and prevents the kind Alia from being all she can be. The selfishness and cowardliness of other characters creates chaos affecting the entire kingdom, and creates a hell for Alia. When Alia takes actions to change her situation, the kindness of others pushes her forward and her kindness to them strengthens the kindness within them. Through this, Ullo also silently shows the power of kindness over the lies of self-doubt. Alia’s kindness most significantly affects Raphael, the true prince who denies his role as prince, and therefore his identity. Being an unknown adopted brother of the recently deceased Prince, Raphael must arise to the throne after his brother’s tragic death in battle. But rather than taking up the throne, Raphael asks his loyal servant and friend, Tristian, to play the social role of Prince. Tristian, in loyalty to the kingdom and in his integrity to his friend, obeys the royal command. What Tristian does not realize is that posing as Prince restricts him from following his own personal goals for his life, (Marrying Alia’s stepsister) least his cover be blown. Tristian is my favorite character because he is consistently loyal to his morals and friends. Tristian’s counterpart, the Chaplin, similarly faces a perceived conflict between serving the kingdom and being a priest, but fails in keeping up his real identity as a priest. The priest fails to give himself up completely to the Heavenly King for the sake of the political Kingdom. Tristian, living behind a façade to the community, never stops being honest to himself or loyal to the Prince, but the priest in his pride fails to see clearly his duty to the King of Heaven. He falls into the trap of believing that his ends justify his means. Ullo contrasts the consequence of self-love or pride with that of loving one’s self and humility. Because Alia knew love she could love the cowardly prince, despite his weakness. This love in turn grants him strength to take up his responsibility. As conflict washes over her characters Ullo, creates unforgettable events, dialogue, and scenes, leaving her reader praying for a sequel and hoping for an even better work of literature to come. Unfortunately, I did not find everything about Ullo’s book satisfying and some things even aggravating. The most frustrating aspect of Cinder Alia is Ullo’s beginning premise that Alia was condemned to servant-hood in her own home because of the unrefuted claim that she murdered her mother. This accusation resurfaced throughout, and while it was used to build tension and excitement, the tension built upon the irrational belief that a young girl would murder her mother disturbed my suspension of disbelief and pulled me out of the fantasy. Other smaller issues, which afflicted me pertained to Alia’s ready judgement that, unless proven innocent or attractive, every man she encountered held absolute certain ill intent toward her, to the point of being preachy or rashly prudish. And despite the title Cinder Alia, I found the real protagonist and hero of the story to be Tristian. His simple and realistic moral dilemmas overshadowed Alia’s character and story line. Yet despite these frustrating flaws, Ullo has captured my imagination and has written many excellent unforgettable scenes with vivid imagery and dialogue, humor, and an exciting plot worth reading again and again. While her book is not perfect, the literary treasure and the incredible intrigue it contains are well worth the read.